ENTER TO WIN A FREE COOLSCULPTING TREATMENT! Did you have a CoolSculpting consultation or treatment at DaVinci Body Sculpting? This could be your lucky day! How does a FREE CoolSculpting treatment sound? Briefly, tell us why you chose DaVinci Body Sculpting and you’ll be entered into a drawing for a chance to win a free CoolSculpting treatment! $1,500.00 value. Must have had a previous consultation or treatment at Davinci Body Sculpting. Entries should be submitted no later than 4:00pm CST on November 9th, 2018. Entries should include name, email, telephone number and area that you would like to treat. Drawing will be held on November 9th, 2018 at 5:00pm CST. Winner will be announced on November 9th, 2018 at 6:00pm CST and notified via email and telephone. In advance, thank you for selecting DaVinci Body Sculpting, Houston’s first CoolSculpting only boutique spa! DaVinci Body Sculpting is located at 12525 Memorial Drive, Suite 375, Houston, TX 77024. By clicking the following submit button, you acknowledge having affirmatively reviewed, accepted, and agreed to all of the official rules, terms and conditions listed below. All photos, texts or other content or information submitted by you to DaVinci Body Sculpting shall become the property of DaVinci Body Sculpting, and DaVinci Body Sculpting shall have no obligation to preserve, return, or otherwise make available to you or other people information so submitted. You understand that because DaVinci Body Sculpting becomes the owner of all photos, text, and other content or information submitted by you, DaVinci Body Sculpting and its officers, directors, employees, successors, and assigns may use, reproduce, edit, display, transmit, modify, publish, prepare derivative works of, and otherwise make use of the submitted photos, text, and other content or information in any and all media—whether now known or hereinafter created—throughout the world and for any purpose, without compensation to you of any kind. 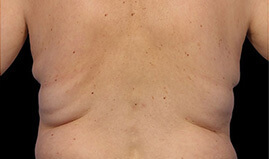 By submitting any photo, text, or other content or information to DaVinci Body Sculpting, you hereby represent and warrant that the submitted photo, text, or other content or information does not infringe on any copyright or trademark, any rights of privacy or publicity of any person, or any other right of any third party. You hereby represent and warrant that you have the right to transfer the photo, text, or other content or information to DaVinci Body Sculpting free and clear of any claims or encumbrances. You acknowledge and agree that DaVinci Body Sculpting shall have no obligation to post, display, or otherwise make publicly available any photo, text, or content or other information submitted by you. You further understand and intend that any photo, text, and other content or information submitted by you to DaVinci Body Sculpting may be available for viewing, rating, reviewing, and commenting by the public. You understand that comments or ratings that you disagree with or are unhappy about may be published or otherwise become associated with any photo, text, or other content or information that you submit to DaVinci Body Sculpting. By submitting any photo, text, or other content or information to DaVinci Body Sculpting, you hereby waive any privacy expectations that you may have with respect to any such photo, text, or other content or information submitted by you to DaVinci Body Sculpting. You hereby agree to hold DaVinci Body Sculpting and its officers, directors, employees, successors, and assigns harmless from and against—and hereby waive any right to pursue—any claims of any nature arising in connection with DaVinci Body Sculpting’s use of the photos, text, or other content or information submitted by you to DaVinci Body Sculpting and used in any manner in DaVinci Body Sculpting’s sole and absolute discretion.